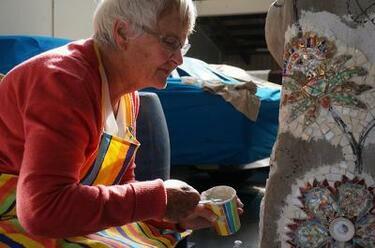 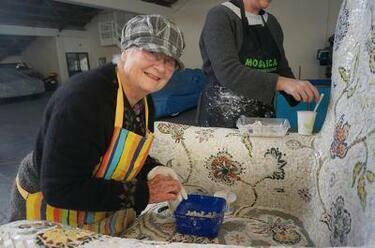 A photograph of Helen Campbell working on Crack'd for Christchurch's armchair mosaic. 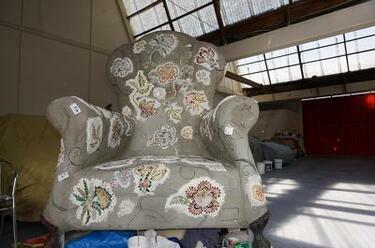 Crack'd for Christchurch comments, "Bit by bit the opus goes on." 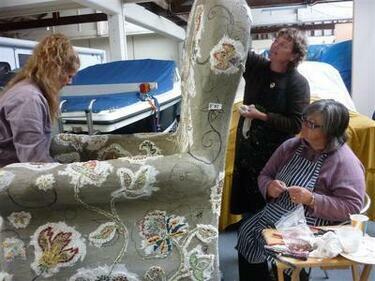 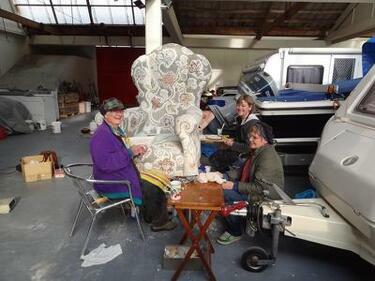 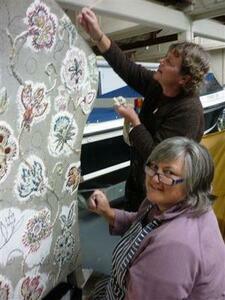 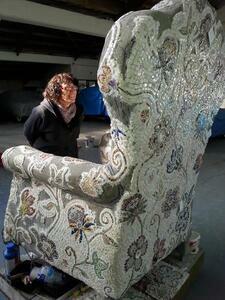 A photograph of members of Crack'd for Christchurch coating their armchair mosaic with sealant. 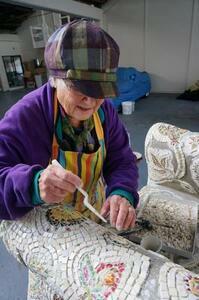 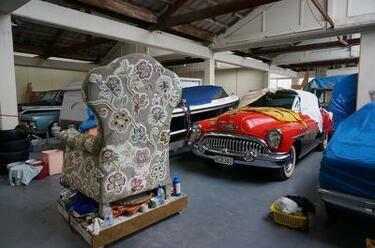 A photograph of Helen Campbell working on Crack'd for Christchurch's armchair artwork. 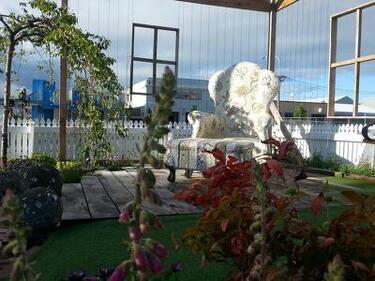 Crack'd for Christchurch comments, "Once the opus starts to go on, things speed up. 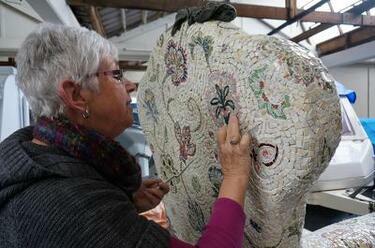 We have a September deadline for the big reveal. 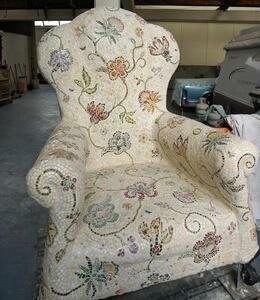 Here we are in July. 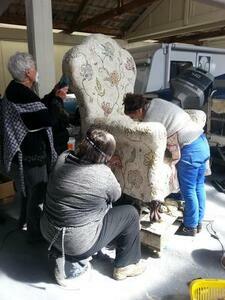 From left: Helen Campbell, Jennie Cooper, and Sharon Wilson." 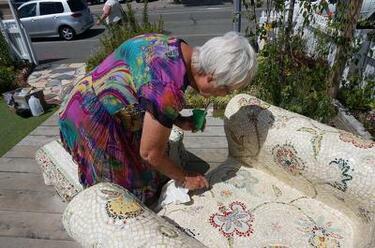 Crack'd for Christchurch comments, "Most of the pattern is in place, and the opus is slowly being put around each flower. 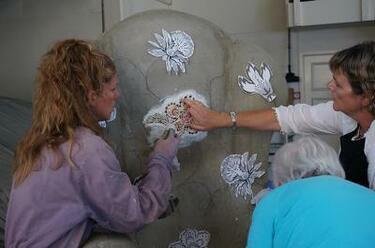 From left: Marie Hudson, Jennie Cooper, and Katherine O'Connor." 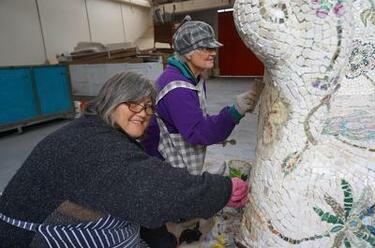 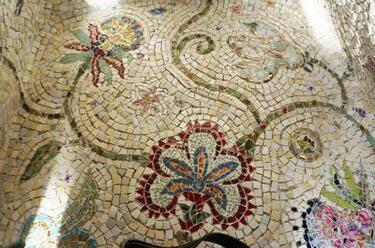 A photograph of a section of Crack'd for Christchurch's armchair mosaic. 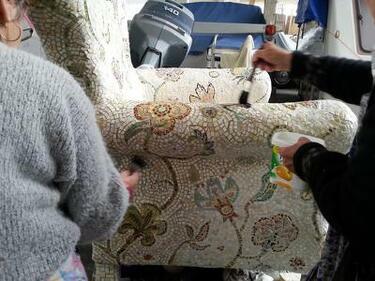 A photograph of members of Crack'd for Christchurch removing the excess adhesive from a mosaic flower on their armchair artwork. 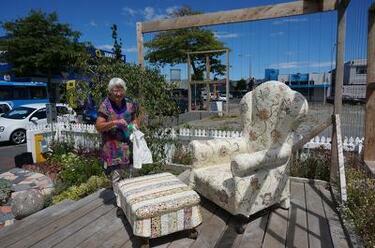 Crack'd for Christchurch comments, "...and only 59 to go."